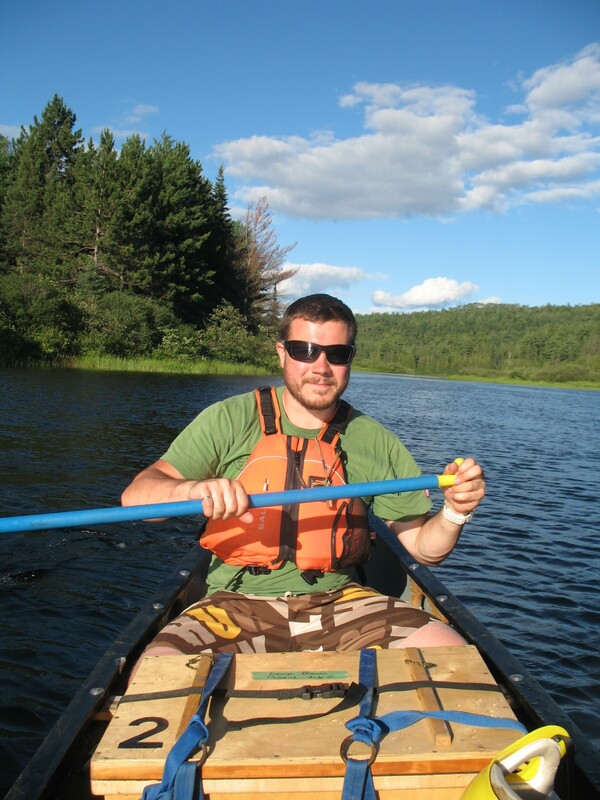 Coulonge River Canoe Trip: A classic Ottawa Valley whitewater river trip. 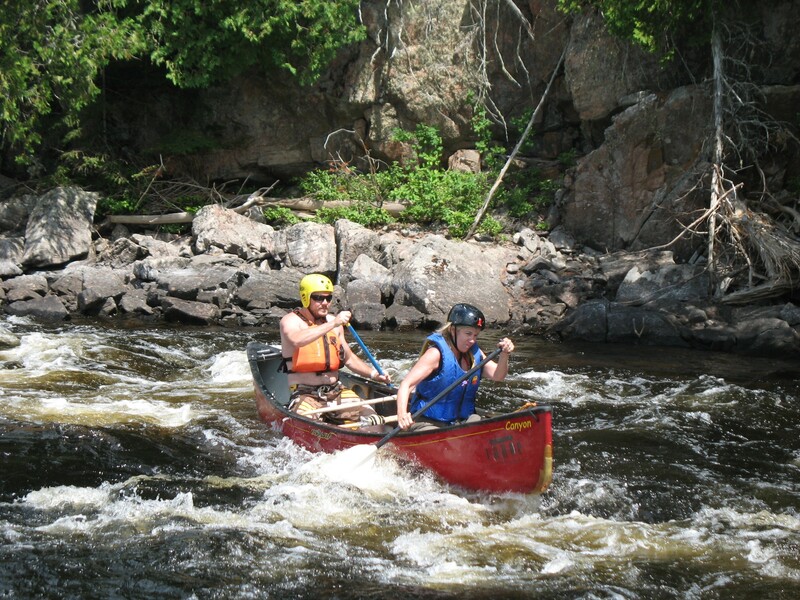 It offers great Canadian Shield camping, stunning waterfalls, enjoyable class 1 & 2 rapids. A wonderful way to enjoy the summer outdoors. 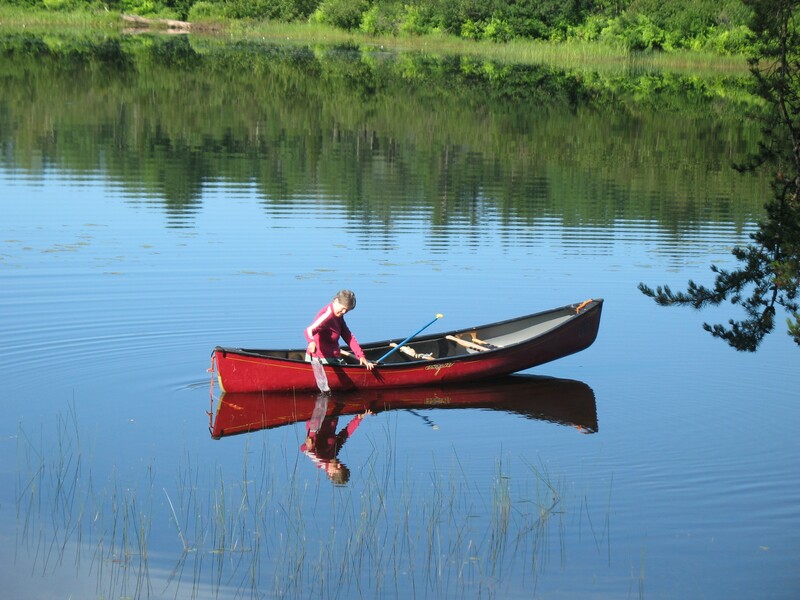 This easy adventure canoe trip is geared for the intermediate and less experienced paddler. While whitewater experience is helpful it is not necessary—a strong flatwater background will put you in good stead. For those who want we can spend lots of time teaching on the river’s enjoyable class I and II rapids. Some nights we will camp beside spectacular falls or rapids. 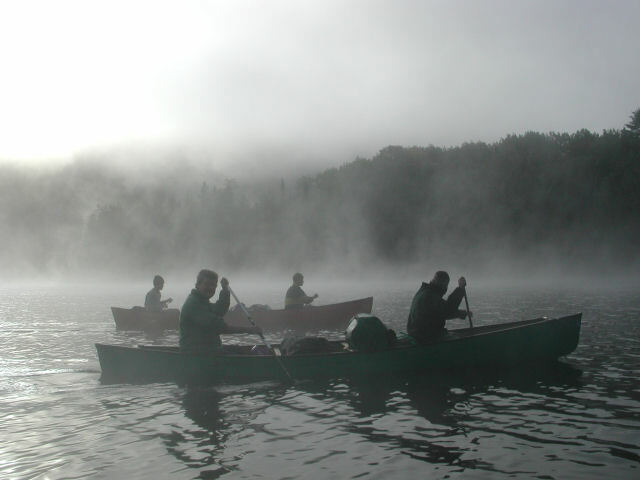 This is one of the finest wild rivers in central Canada and our river trip is sure to provide paddling enjoyment for canoeists of all skill levels. After meeting the group in Rapdis des Joachims (Swisha) we will load our van and head north to the headwaters. The drive should take about 3 hours. We will have lunch at the put in location and then head out onto the water for the afternoon. 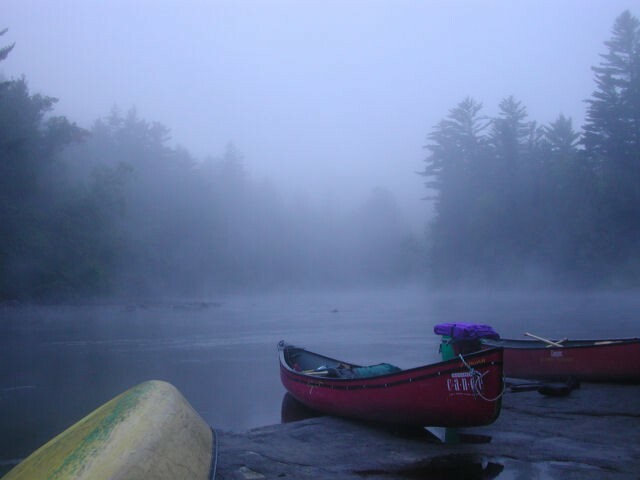 We will conduct a review/instruction session regarding whitewater paddling before heading off down the river. We will encounter some easy rapids the first day, the river in this section being small and technical. The Campsite will likely be on an ancient road bed from the logging era. There is lots of space for tents and campfire with a great view of the river. The river character is similar on day two, although the rapids start to build slightly. We will likely spend about 5 hours on the water, with breaks for lunch, snacks and scouting of course. 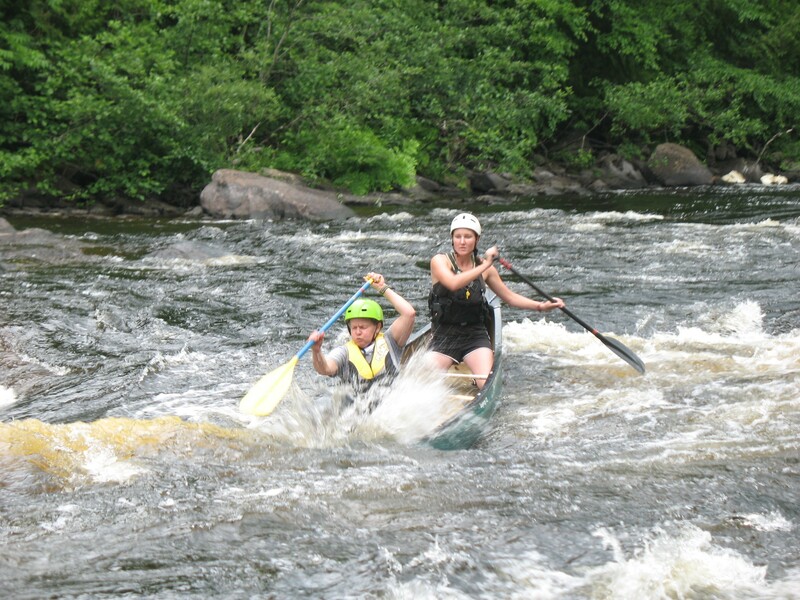 We will encounter a number of class I and II rapids on the first day and some larger RIIs the next. We will also encounter several beautiful Chutes and Falls today which will be portaged 100m and 400m respectively. There will be more RI’s and II’s in the afternoon as well as a couple of larger RIII rapids and ledges which we usually run or line after careful scouting. 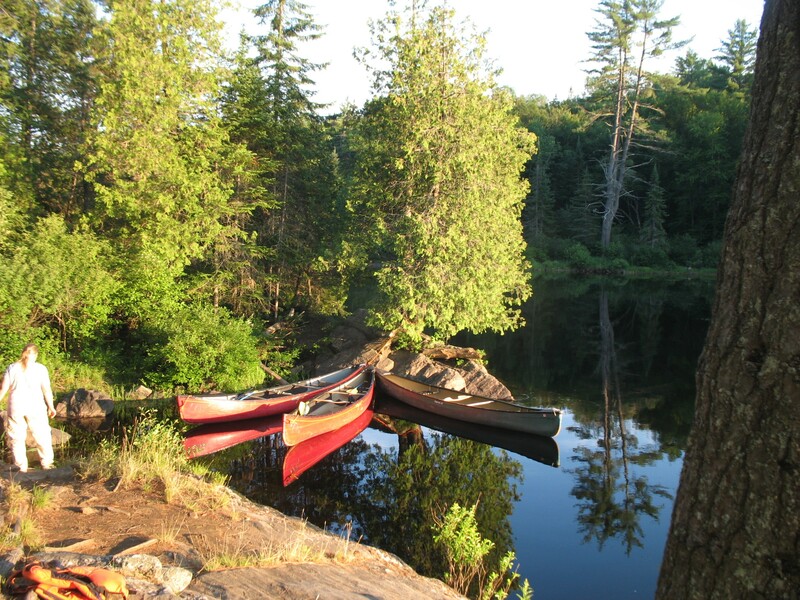 A relaxing day follows as the river flows swiftly along through typical Canadian Shield country. There is good current and swifts where we can expect to cover 30km in a day. We’ll portage 500m portage around Chute Gautier, (nice swimming below the falls). 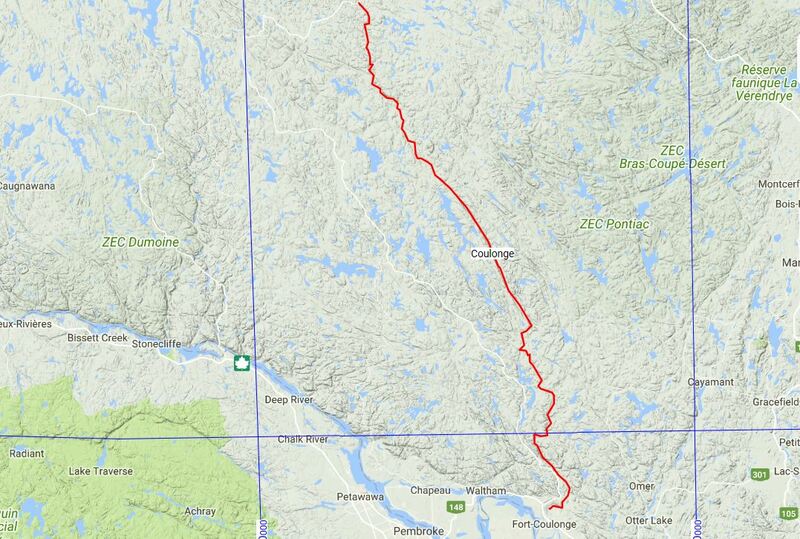 Devil’s Chute is bypassed with a short portage. Little Devil Rapids below can be run followed by a number of other enjoyable rapids and easy fast paddling. Chute Enreage and Chute Allinotes ar both bypassed by portages. The next 8km include several swifts and small rapids and one very nice class 2 rapids. 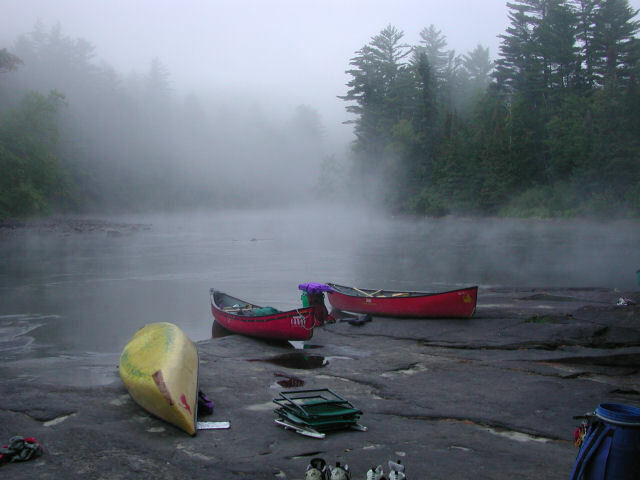 We will camp at a spectacular “Shangri-La” site at the head of the Bear Falls portage. The rapids begin with a great class 2-3 which will require careful scouting. The rapid is normally run, although some may choose to line the more difficult sections. This rapid is soon followed by more class 2 and 3 rapids all of which can be run for those who wish. The rapids during most of the morning are fairly constant with one following the next. In the afternoon they give way to swifts and fast current all the way to the take out which we would expect to reach late in the afternoon. About 20km today. 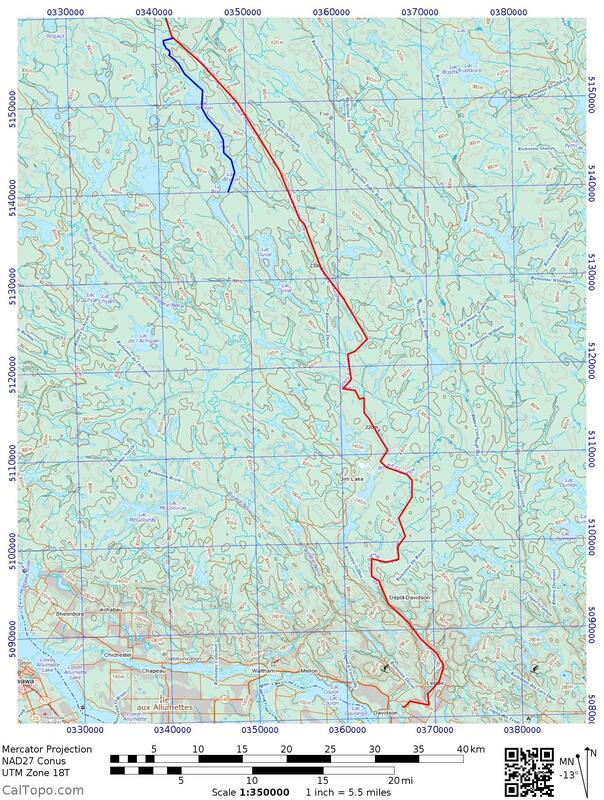 The Coulonge is one of seven wild rivers that flow into the Ottawa River off the southern edge of the Laurentian Highlands through an area dominated by a forest cover of black spruce, white and red pine, and pockets of white cedar and white and yellow birch. As the Ottawa is approached on the southern reaches of the river, maples and ash become a more significant part of the forest. The fauna of the River Valley includes moose and black bear as well as a variety of smaller mammals such as beaver, muskrat and otter. 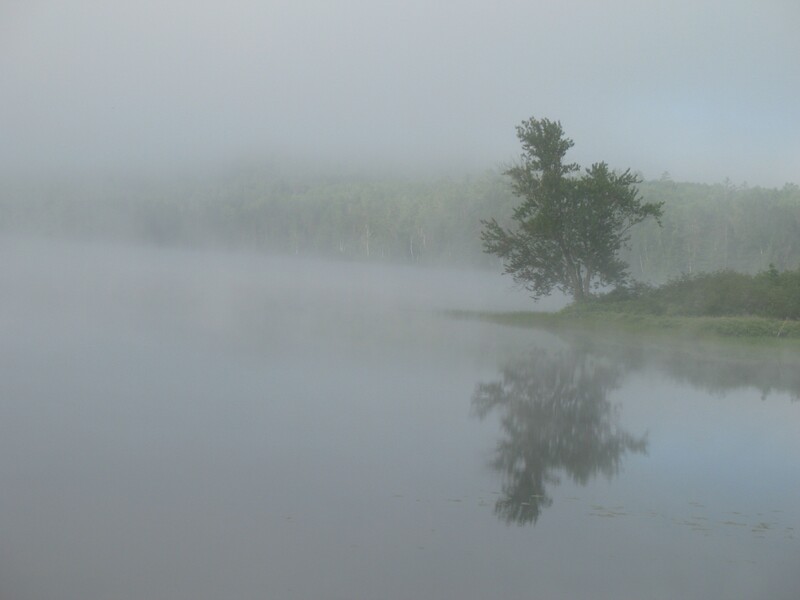 Fish, particularly pike and pickerel, can be caught along the river. Bass, speckled trout and lake trout live in the deeper pools along the river or a few miles back in the tributaries. The river has played an important role as a north-south transportation corridor in the economic history of early groups of Canadians. 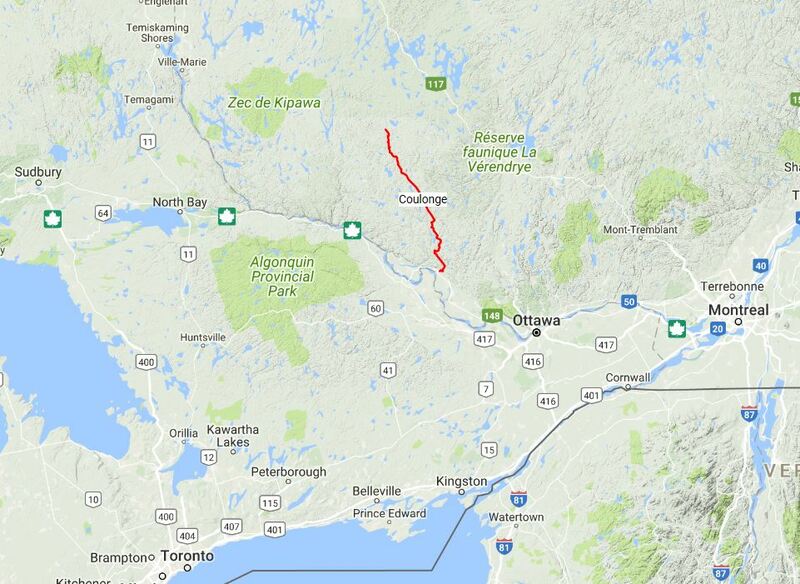 The Hurons and other central Ontario tribes who wished to avoid paying the toll which the Allumette Natives charged for portaging across the island used the Coulonge & Dumoine rivers as an alternate route to the Ottawa River on their way to Montreal. This also allowed the agriculturally oriented Hurons to trade their products with the nomadic Algonquins who inhabited theKipawa and La Verendrye region to the north but who rarely came south for fear of encountering the Iroquois.